The Puget Sound is at risk from pollution and climate change, affected our quality of life and drastically changing marine life for the animals dependent on this marine environment. 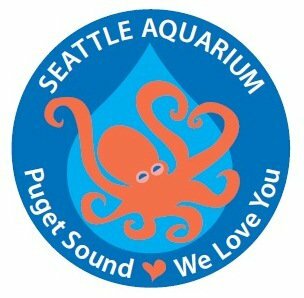 The Puget Sound: We Love You campaign was started by passionate Youth Ocean Advocates at the Seattle Aquarium who were ready to make a difference. We aim to inspire others to take action to protect the Sound by highlighting our shared love and dependence on this body of water. Research has shown that teenagers are the drivers of environmental change in their households. So not only are young adults helping older generations understand technology, they are teaching others about recycling, carpooling, and how to be “green.” As the next generation of leaders and the ones ultimately inheriting this planet we have the power and responsibility to make a difference and save the environment. Starting with teenagers and cascading from there, we hope to inspire others and create change in the way we treat both the Puget Sound and the environment around the world. But we are dependent on YOUR help! So like us on Facebook (www.facebook.com/pugetsoundweloveyou) for short eco-tips and fun facts about our Sound, follow us on Twitter @pugetsoundlove, and read our blog for the science behind the problem as well as creative and easy solutions to reduce your impact on the environment!